“Denial leads to holding grudges, fear, and festering wounds. That is not faith,” says W.H. 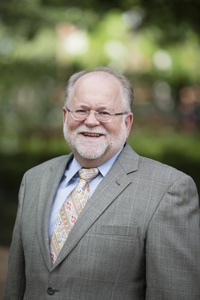 Bellinger Jr., Ph.D., chair of the department of religion in Baylor’s College of Arts & Sciences and The W. Marshall and Lulie Craig Professor of Bible. 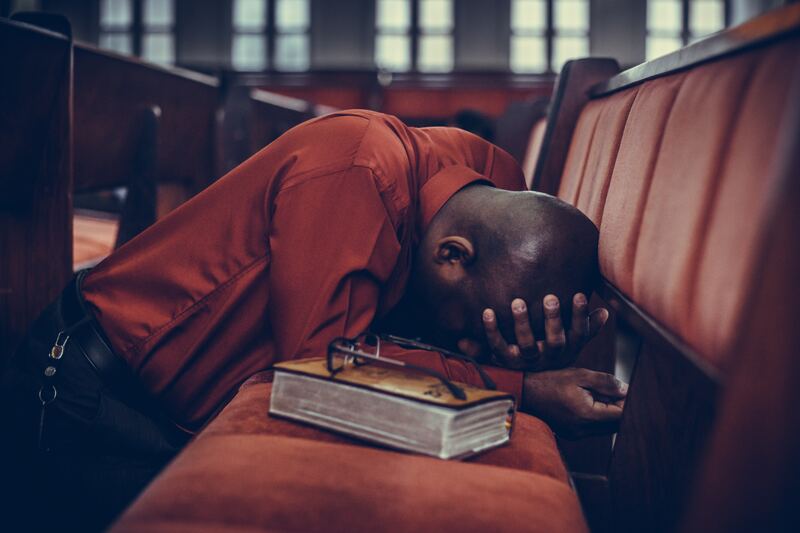 As the month of March begins with World Day of Prayer (March 1), Bellinger reflects upon the positives of the honest prayers found in the Psalms — and how expressing griefs, complaints and even anger at God can help people grow rather become spiritually stagnant. Q: We pray in thanksgiving, ask for forgiveness and help, and ask that God care for those we love. What are we leaving out? A: The book of Psalms forms the central prayer book of the Bible, and I take it to teach us how to pray with the prayers there as models for us. There are prayers of thanksgiving and prayers for forgiveness. But there are more individual laments in the book of Psalms than any other psalm type; they have been appropriately labeled “the backbone of the Psalter.” They mirror (novelist/non-fiction writer) Anne Lamott’s first movement of prayer: Help me; help me; help me. These are prayers for God’s help in the midst of trouble and woe. The laments address God with a crisis and plead for help. Psalm 13 is a good example. The first two verses portray a crisis with the use of questions, beginning with “How long, O Lord?” Verses 3-4 then ask for God’s help. The prayer ends in a hopeful way in verses 5-6. I expect many of us think of prayer as pleading for forgiveness, but the Psalms also emphasize persuasive and honest prayers for God’s help in the midst of trouble. Q: Why do we need to lament? A: The most basic thing about prayer in the Psalms is the model of the honest dialogue of faith. The prayer here is realistic; they pray of life as it is, not an idealistic life as it is supposed to be. Those who prayed these ancient prayers believed in the covenant God who hears and comes to deliver. So when they are in trouble and not being delivered, they plead with God to help. They are crying out to the One who can transform life. The faith community of ancient Israel was defined by the meaning of its name. “Israel” means one who struggles with God. In the laments they are struggling with God. This kind of prayer is not the whole of the dialogue with God, but it is certainly part of living our relationship with God and growing in that relationship. The language of these prayers in the book of Psalms is powerful and honest and may be troubling to us as people of faith, but these prayers are intimate and show great depth in the relationship with God. These ancient people of faith never go beyond the ability to address God, the God who gives life even in the middle of trouble. They encounter God at the deepest level. My concern is that our prayers often stay on the surface and that our conversation with God misses some of the depth and power of the prayers modeled for us in the Psalms. That is a considerable loss for us and our growth in faith. The Psalms saw long before there were therapists that the way to hope is through fear; the way to real joy is through depression; the way to loving one’s enemies is through hostility. Not around these realities but through them. Denial leads to holding grudges, fear, and festering wounds. That is not faith. Rather, speaking boldly to the One who can act, asking God to embrace pain — that is the vision of faith in these texts. The prayers in the Psalms are bold acts of faith and call us then to trust the God we address with the answer to the lament. That act of faith in the God who receives these honest prayers is central to their understanding of prayer. 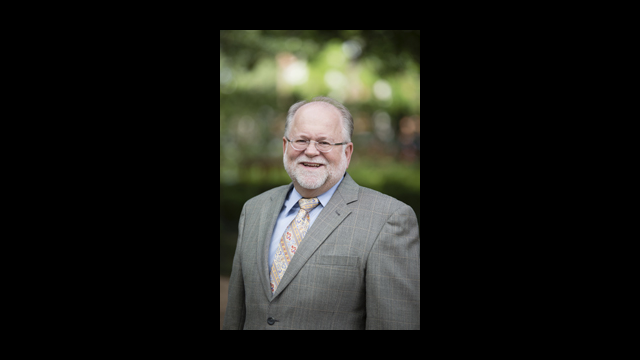 Q: In a recent lecture at Baylor’s Truett Seminary, you spoke about the book of Psalms as a specific “School of Prayer.” What can we learn from these prayers? Some of them seem very different from the Lord’s Prayer that Jesus instructed his disciples to pray. A: Psalm 1 speaks of the person of faith as one who meditates on God’s instruction day and night as the guide for living. That beginning of the book of Psalms suggests that the psalms or prayers that follow are also instruction in what is central to the life of faith – prayer. So in the book of Psalms, we learn how to pray, even when we are so low that it seems impossible. We can stand on the shoulders of the saints of old and pray as they prayed with the Psalms. We can pray in private and we can pray in public. We can pray in thanksgiving and praise and we can pray in cries for help. I would suggest that the most basic lesson is the honesty of the psalmist. We address God with our lives, in whatever circumstance we find ourselves. 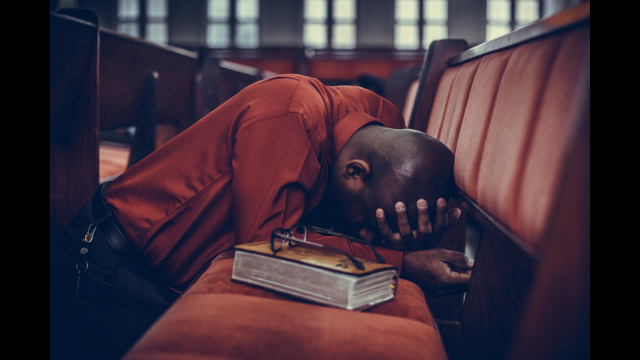 These lessons on prayer fit the book of Psalms, and I think they also fit Jesus’ instruction on prayer in the Sermon on the Mount with the Lord’s Prayer. Q: In a recent lecture, you talked about perhaps the most “brutal” prayer in Psalms. What is it? A: Psalm 109. It is a good example of a prayer of vengeance. It indicates that enemies have mercilessly attacked the one praying, and so that person prays that God will bring justice on this false accuser. The justice requested is both specific and harsh: that his days be few, his children orphans and beggars, his wife a widow, that all their possessions will be taken and that they have nothing — including receiving no acts of kindness or pity. It is certainly the honest confession from one who has been wounded. It is troubling to many people of faith, but it is important to remember that it is not a curse, but a prayer addressed to God who is the One who decides all such conflicts. I thus take the prayer to be a genuine act of faith in taking harsh trouble to the Lord. Q: Do you have a favorite “flip side” Psalm of that brutal one? A: Psalm 30. It is a beautiful prayer of thanksgiving from someone who has been delivered from a crisis, perhaps an illness. It begins by stating the purpose of the prayer to give praise and thanksgiving to God who has brought this person back from the power of death. Sheol in verse 3 is the realm of death. In verses 4-5, the speaker turns to the congregation and invites the whole community to join in this testimony of faith so that all of them may see the power of thanksgiving as a turn from weeping to joy. Then in verses 6-11, this person of faith tells the story of his crisis in which things fell apart including his sense of relationship with God. So in verses 8-10, the speaker prays, persuasively asking God for help and for the possibility of future worship and community of faith. Verse 11 recounts God’s deliverance and turning the petitioner’s mourning to dancing, grief to joy. The concluding verse is a further promise to praise and thank God forever. This person of faith has been through the crisis and brought the crisis into the relationship with the covenant God who hears and delivers — and now that person pledges to continue in thanksgiving to God. It is a great celebration and testimony of faith. Q: We may lament, question God and be angry in our personal conversations with God. But what about these kinds of prayers in public — especially in worship? A: I would suggest that the first step is for communities of faith to study and pray the Psalms in conversation with the lives of faith we are living. Then communities of faith can begin to incorporate such honest prayers in their worship together. When we do, we can model for others growth, rather than stagnation, in our relationship with God and begin to see the hope of moving toward a renewed spirit. We can also embrace the hope of calling upon God to transform the world with the gospel.